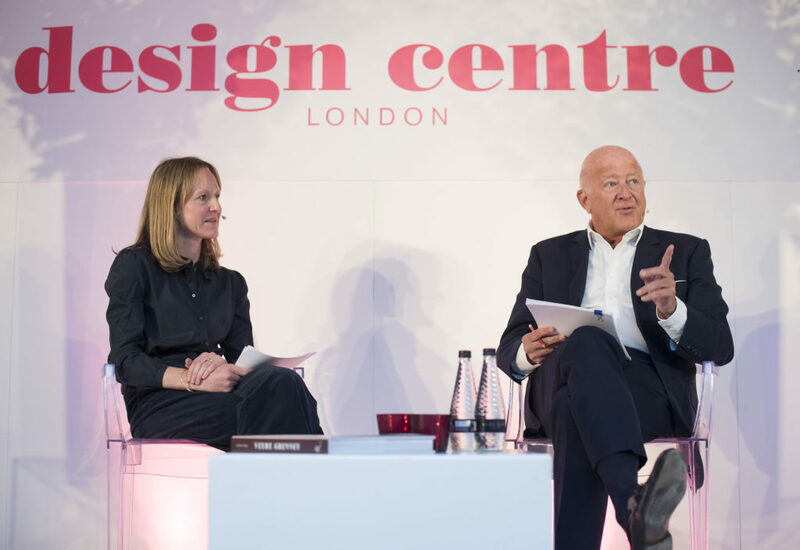 For six days Focus/18 at Design Centre, Chelsea Harbour was the design event for excellence. 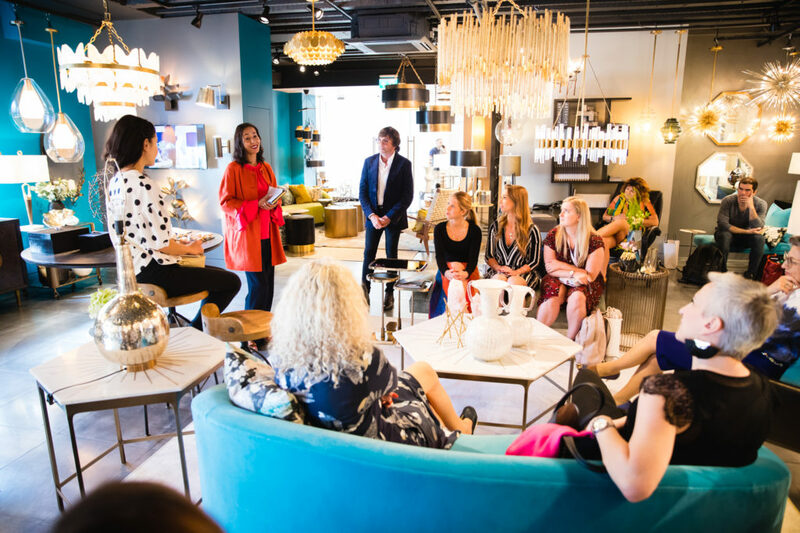 Welcoming design enthusiasts from around the globe, the dynamic programme offered more than 100 experiential sessions that brought design ideas to life. 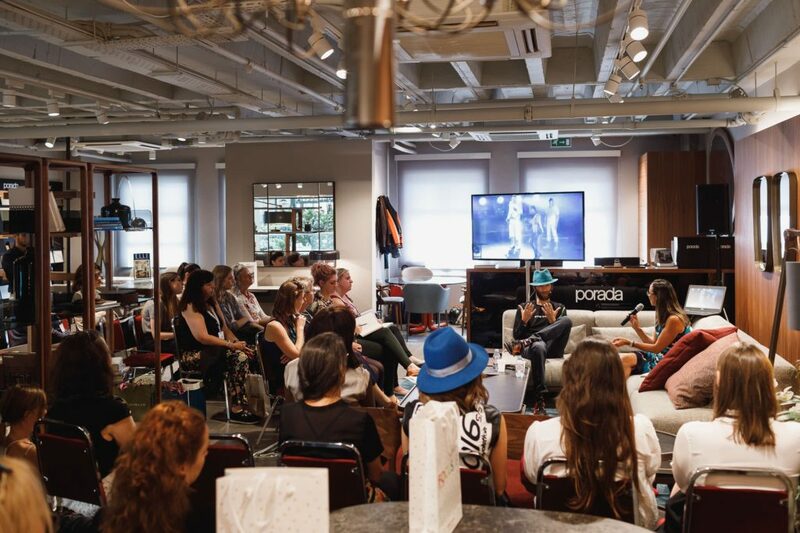 Focus/18 celebrated creative excellence with an exhilarating six days of inspiration and experiential events. Inspired by this season’s new collections – playful, bold and confident – the show was a dynamic snapshot of the brightest and best of world-class talent. 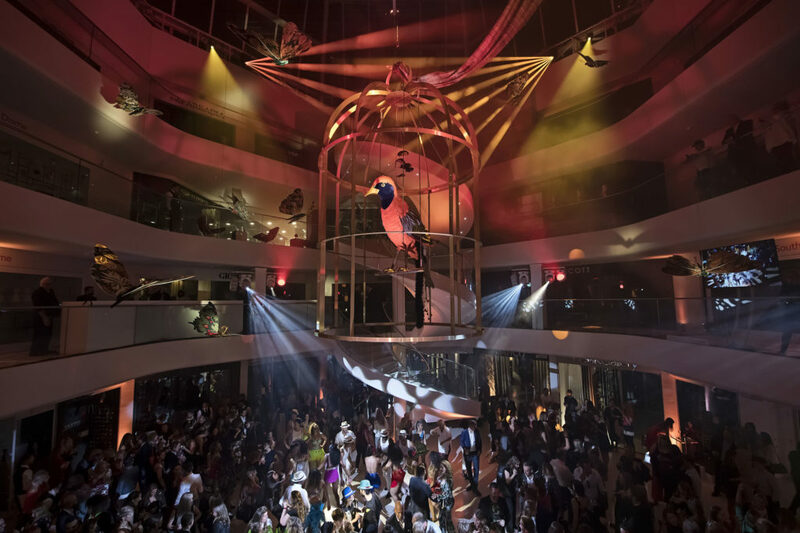 The ‘Freedom of Creativity’ installation, filling the Centre Dome with butterflies and an exotic bird, captured the particular vibrancy in decor that is in the ascent. An incredible line-up of 120 experiences – from talks, workshops, demonstrations and discovery tours to meet the designer sessions – delivered a remarkably upbeat take on the latest design directions, while at the acclaimed Conversations in Design sessions international names like Veere Grenney, Timothy Corrigan, Allegra Hicks and Nina Campbell, (to name but a few), shared their knowledge and expertise to capacity audiences. 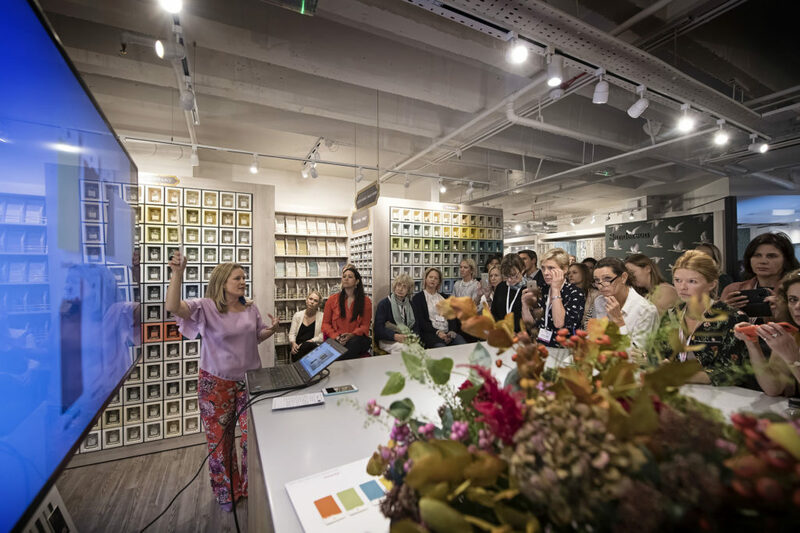 Colour – and its positive power – was a key theme, explored across showroom talks, a bespoke installation by Moritz Waldemeyer and a new series of Colour Workshops. 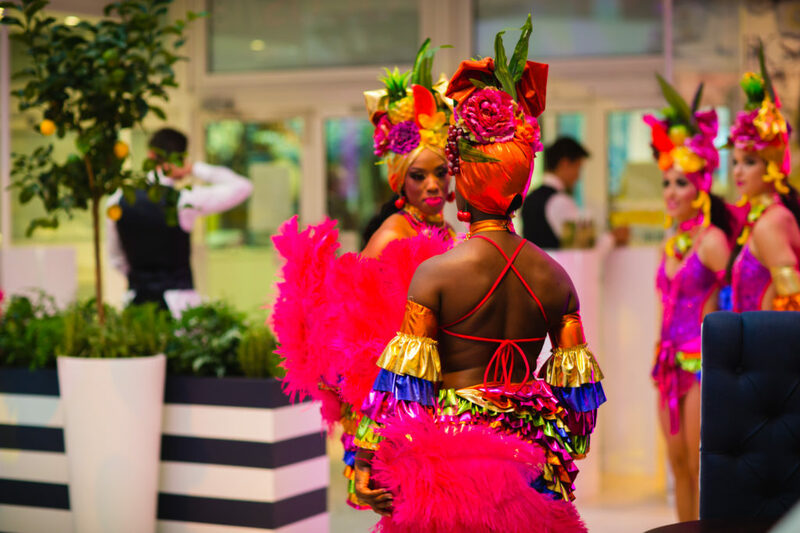 In homage to the colour and creativity at Focus/18, Design Centre, Chelsea Harbour pulled out all the stops when international A-listers mingled with industry insiders for a vibrant evening of tropical caliente and spicy salsa rhythms. Scintillating conversation and plenty of Mojitos kept everyone in the mood, before a high energy performance by a troupe of talented dancers transported guests to the island of Cuba. Dizzy and exhilarating, they were scooped off their feet and whirled around with spirited abandon to a vivacious beat. If you are a colour fan, there was plenty of it this season. 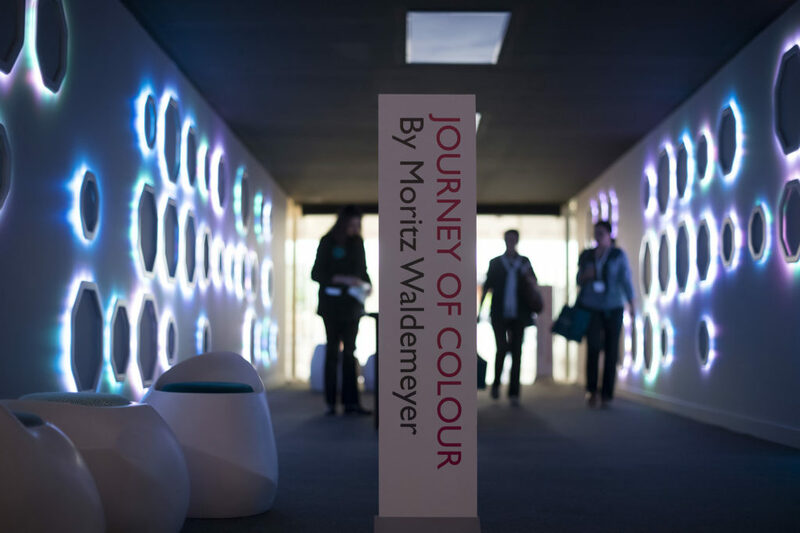 ‘The Journey of Colour’ by international artist Moritz Waldemeyer was specially commissioned to create an immersive experience of light, colour and motion. 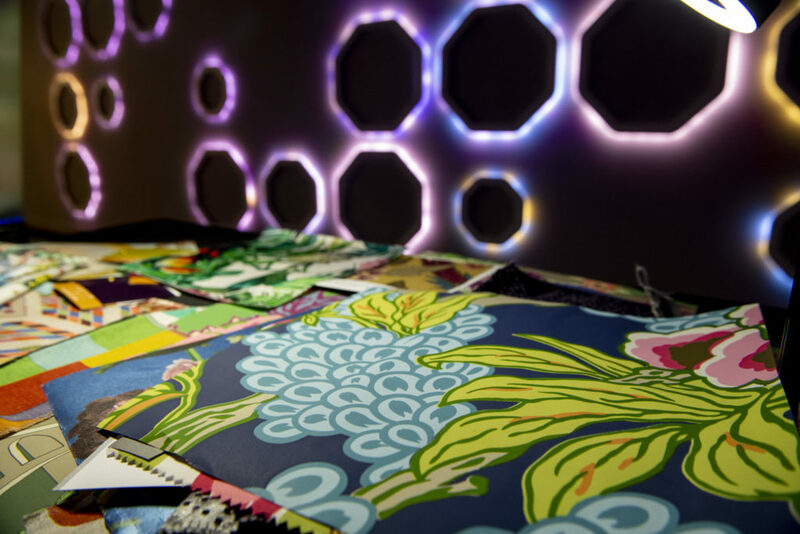 Advanced LED technology lit up a 12-metre walkway and visitors were able to change the colours of the lights with a selection of fabrics from the new collections. 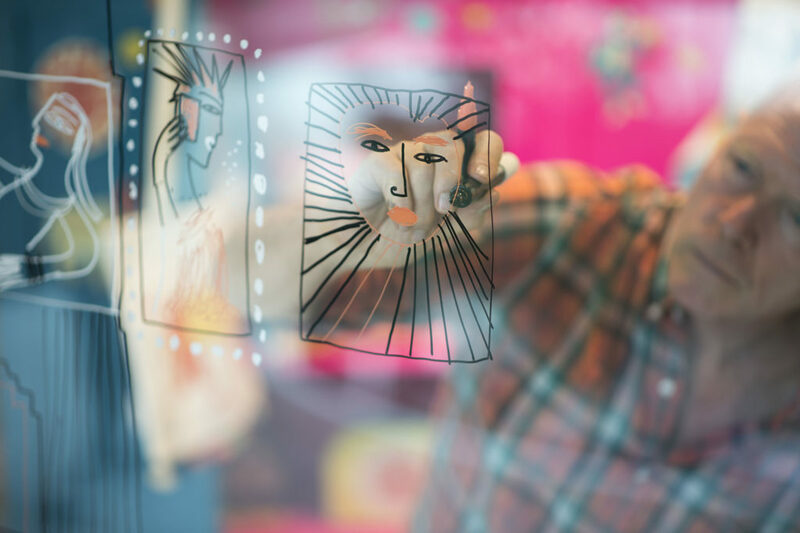 In the centre dome ‘Freedom of Creativity’ reflected a decidedly positive mood this year. 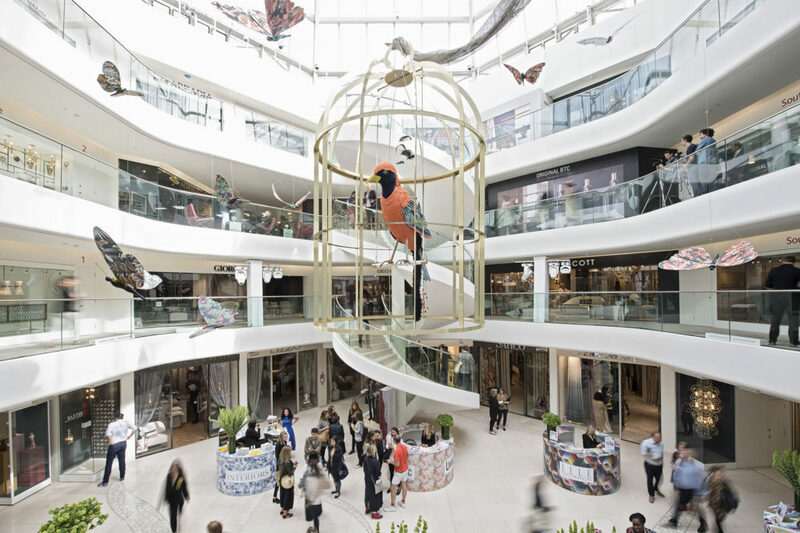 Taking cues from the free-spirited approach to colour and creativity that is in the ascent, a bird with exotic plumage and butterflies with jewelled wings were fashioned in joyous colour palettes. Focus/18’s Colour Workshops, a new initiative, aimed to expand upon the show’s broader theme of colour – beyond its use in design, to its importance in psychology, history, fashion, food and healing. Together, they build up a rounded picture of how it is an essential influence in every facet of our lives. 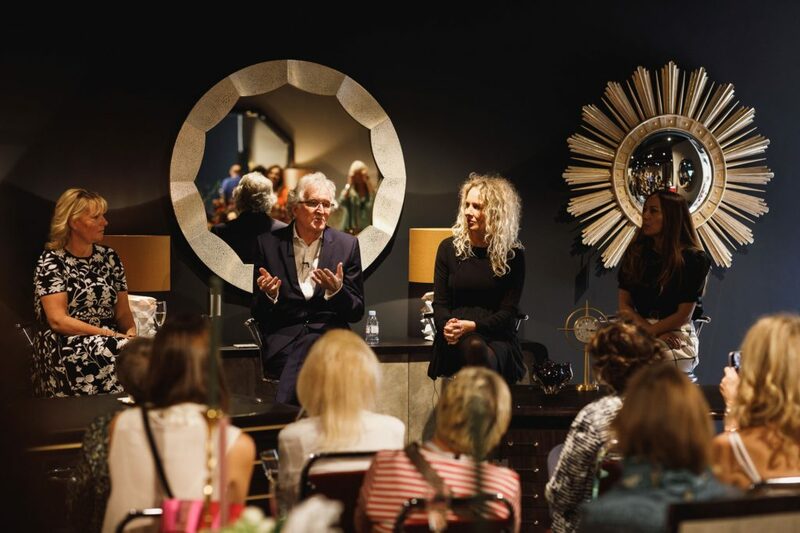 Speakers included tastemaker and jeweller Sabine Getty, energy healer Georgia Coleridge, interior design and broadcaster Sophie Robinson, author Kassia St Clair and Cawston Press. Specially commissioned pop-up restaurants and cafés for Focus/18 provided plenty of design inspiration. 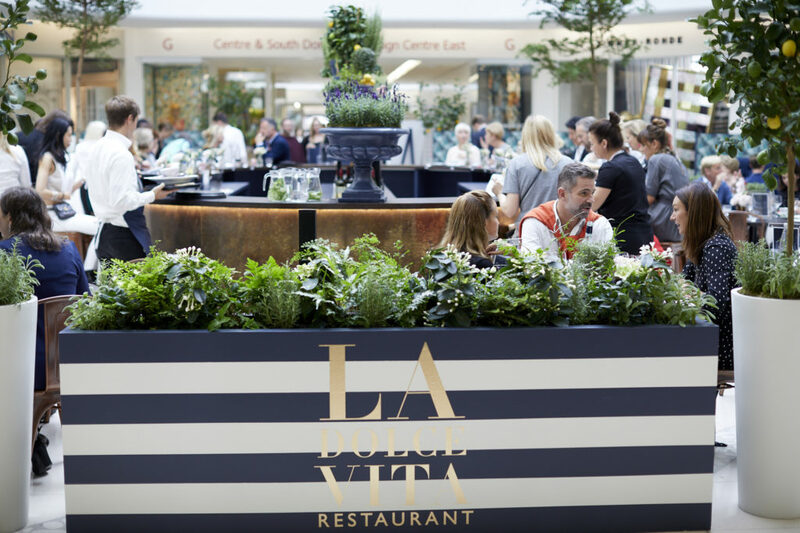 The surroundings allowed diners to take in the seasons’ emerging trends, incorporating the latest collections. 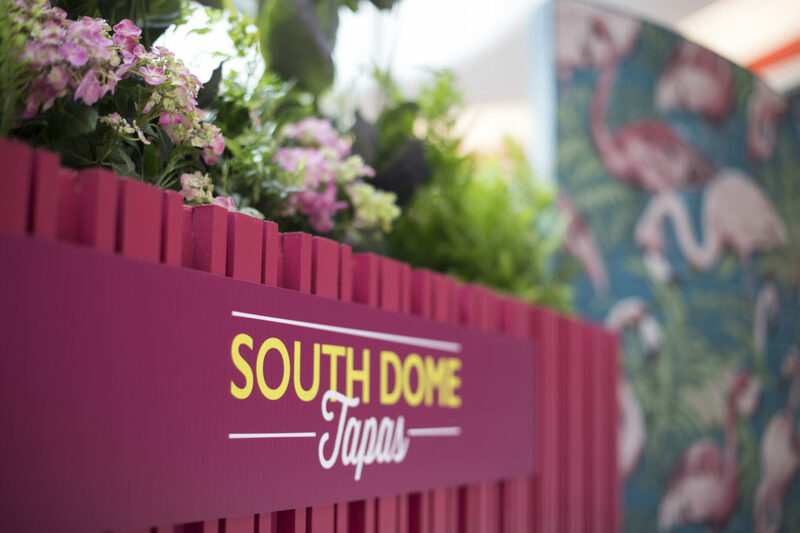 At South Dome Tapas, it was all about a vibrant, spicy palette that expressed the positivity of colour. Designs by Arte, Thibaut at Jacaranda Carpets, Zoffany and Sanderson at Style Library, all set the scene. In the North Dome, La Dolce Vita offered a sophisticated palette of ink and jade thanks to beautiful products by Brian Yates, Nobilis, Zinc Textile at Romo, Sanderson at Style Library and Samuel & Sons. The palette of fresh greens in the Third Floor Food Market demonstrated that the trend for lush botanicals has considerable longevity. It featured designs by Pierre Frey and Blithfield at Lewis & Wood. Floristry by John Carter Flowers brought effervescent life to Focus/18, with barely a corner untouched by an exuberant display. When leading design houses turn to the best designers to collaborate on a project, the results are always strong. 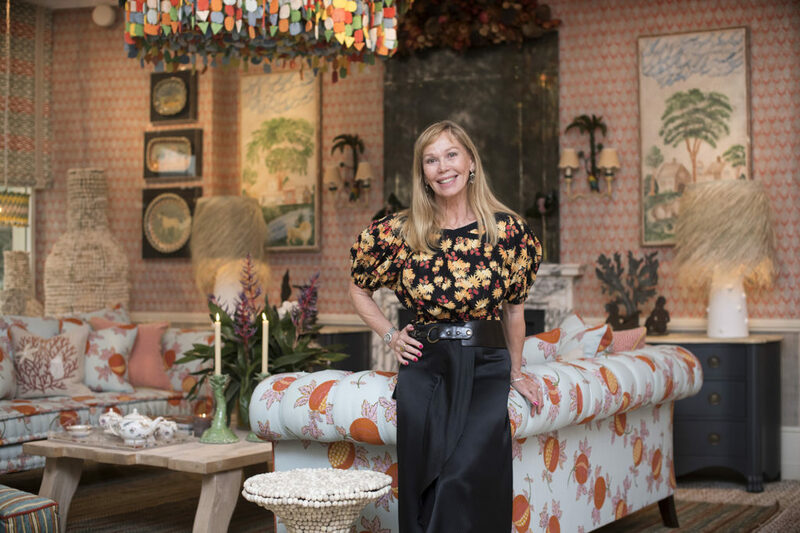 Take Turnell & Gigon’s pop-up Caribbean Suite by Kit Kemp, which was inspired by her Barbados home. 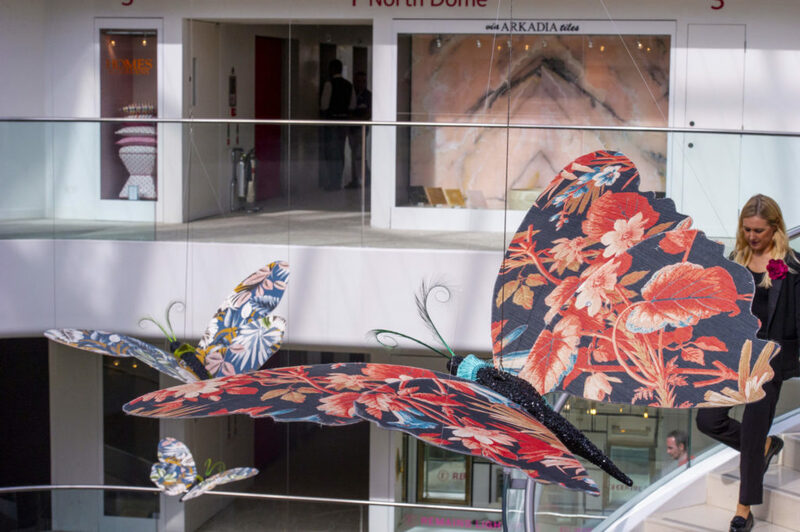 Working with unusual colour and fabric combinations, bespoke fabric lined the walls and upholstered pieces featured quirky design details like armchairs edged with felt, using pinking shears. Staffan Tollgård’s Archipelago range for Porada revealed what happens when Italian craftsmanship and a cool Scandinavian design aesthetic come together. A further partnership was award-winning designer Alexandra Champalimaud’s Framework fabric collection with Holland & Sherry. The wealth of insider insights was extraordinary and, what’s more, it was a free resource for every visitor. To view the full programme see below.